We would like to introduce ourselves as a service provider in the 5 Boroughs of NYC plus Nassau and Suffolk counties on Long Island, NY. We have been serving this whole area for the last 21 years. We offer floor covering, wall-to-wall carpet, linoleum, oriental rugs, Bronx vertical blinds and Queens wood flooring. We have a professional staff available 7 days a week. We, at Daniel Carpet, look forward to working with you in near future. "Amazing business! Daniel's Carpet did the entire wood floors in my house and it came out unbelievable. Price was cheap and the quality of work was first class. I also order blinds for my house and they look fantastic. The blinds they sell are half the price of other places and are superior quality. Professional and amazing guys! Must check them out!" 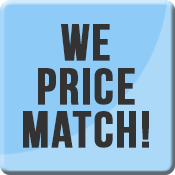 "Daniel Carpet Corporation has the best carpets along with amazing prices and customer service. I rarely write reviews but my experience with this store was so pleasant. I highly recommend to anyone :)"
"They installed vinyl flooring for my business. It's really durable, it's been holding up for us very well because it sees a lot of use. I HIGHLY recommend Daniels Carpet. It's a father and son business." "I've had the pleasure to work with Daniel Carpet for over 10 years. Excellent service, quality carpets and equipment. They recently did my floors in my house and I truly believe that these floors will last for the next 50 years. Overall, highly recommended. 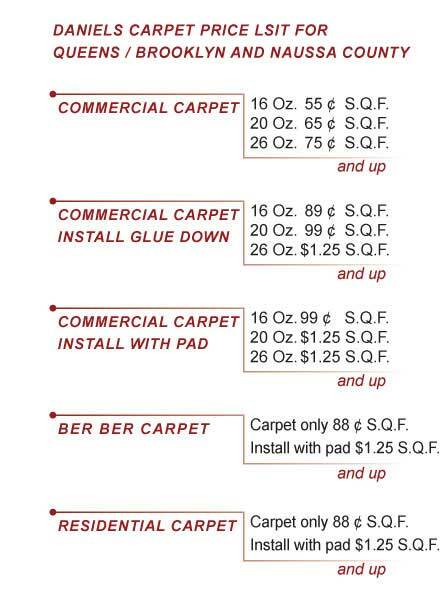 Don't think twice to come here for flooring or carpet needs."